So, welcome to another Meet and Greet Monday, where we pull an author or reader of romance out from out of that book they’re buried in, drag them in front of everyone and introduce them! Please wave hello to today’s featured guest, anotherMMRWA friend and fantastic author (she’s a NYT and USA Today bestseller for a reason), Jennifer Lowery! This is her. Ain’t she purty? Hi, Kristen, and all you fabulous readers out there! *waves* Thank you so much for having me today! My romantic suspense, The Maze, released this month so I’m very excited to be here! Thank you so much for sharing it with me!! What fairy tale character do you most identify with? I love the Snow White story and all of it’s variations, but I could not agree with you more about the huntsman version. Whew. *fans self* Okay, on to the next. What historic period would you live in if you could? Or would you rather live in the future? I would love to go back to medieval times-just for a little while-and live with a Scottish Highlander. The kind you read about in romance books, lol. It’s a good thing you put that qualifier in there. If fairytales have taught us anything, it’s that you have to be very careful what you wish for. Scary thought… but that picture lets me segue nicely into my next question. Which of your five (or six!) senses would you say is the strongest? My sense of smell. Ugh. My family calls it a curse. It is unusually heightened and very sensitive. I’d make a great narcotics dog, lol. Oh, man. I think I’d rather have any other sense heightened but that one. The world doesn’t always smell like sunshine and roses and fresh-baked cookies! It could be worse, though. You could have a nose that just looks like it’s super sensitive. Moving on, what’s your lucky number? Seven is my son’s favorite number, too, so I’m kind of partial to it. I’m pretty partial to my son, too. Can you tell why? Just look at that shirt. He’s my favorite nerd, ever. So, back to you, Jennifer! Are you a good public speaker? No! Very adamantly no. I would take an F in school if if meant avoiding making a speech. My grades were always pretty good so I could afford the bad grade. Yeah, I hate speaking in front of people. Phobias are brutal. I’m that way about spiders. It was even worse when I was was younger–my sister an I had a closet we used as a “fort” when we were kids. I saw a spider in there once the size of a dime, and I kid you not, I never went in to that closet again. And we lived there another three years. I take my phobias very seriously. Speaking of scary things, have you ever gone bungee jumping? If not, would you? Since I’m terrified of heights that would be a no way! You’re in good company, then. Me and Connie Bretes won’t do it, either. I love Christmas, too! My mom has been posting on Facebook that there’s only 170-something shopping days left. Not that anyone but us Christmas-lovers are counting. You’re ordering a pizza just for you. What’s on it? I’ve always wanted to visit Ireland! 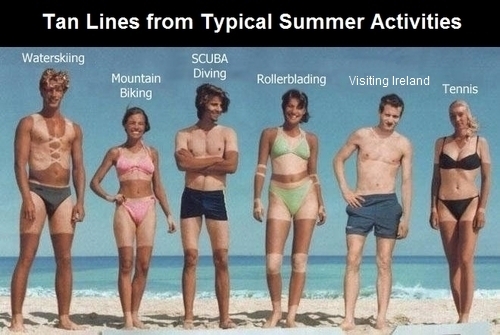 And I hear it’s a great place for pale people, too. One last nosy question for you. Ever gone skinny dipping? Yep. And I shall say no more! LOL. We’ll just watch for skinny dipping scenes in your books if we want to know the details, right? 😉 Okay, on to the writerly stuff. Pick up the book closest to you. Turn to page 12. What’s the first full sentence on the page? “Roger that.” As he exited the garage, the sun flooded the cab of the truck, and he pulled on his mirrored aviator sunglasses. Cherry Adair. But there are so many, I can hardly narrow it to just one. I’m the same way. I’ve had to cut down on my reading time just to fit in my writing. What are you currently working on? Book #2 of my SEAL Team Alpha series. LOVE those military men! What book have you released most recently? I am drooling over this cover. Fantastic. I can’t wait to read this. Every excerpt I’ve read has been better than the last! So, where can we buy it? Any other info links for all of us bookstalkers out there? Yes, and thank you for having me today, Kristen!! I also want to send out a big THANK YOU to all my readers out there! Without you I wouldn’t be here. My wish is to one day meet each and every one of you so I can personally thank you for your generosity and support! Sweet! Thank you so much for being on today, Jennifer, and thank you for hanging out with us on MaGM Monday! Best of luck and many booksale wishes for your new release. ← Want more blog posts?